Healing Touch Program (HTP) is an educational program dedicated to offering classes in the energetic therapy modality of Healing Touch (HT) as well as providing support for Healing Touch students, practitioners and instructors. The Healing Touch Program curriculum and teaching materials enhance the students learning experience and insure a consistent, informed and complete education in Healing Touch. Healing Touch is for the person who wants to enhance wellness in themselves and the lives of people they care about by using the gift of energetic touch. Get the resources you need to support your Healing Touch Program edeavours. Discover documented research on Healing Touch and related modalities. Become an HTPA Member for extended benefits and discounts! Stay up on the latest in Energy Medicine. 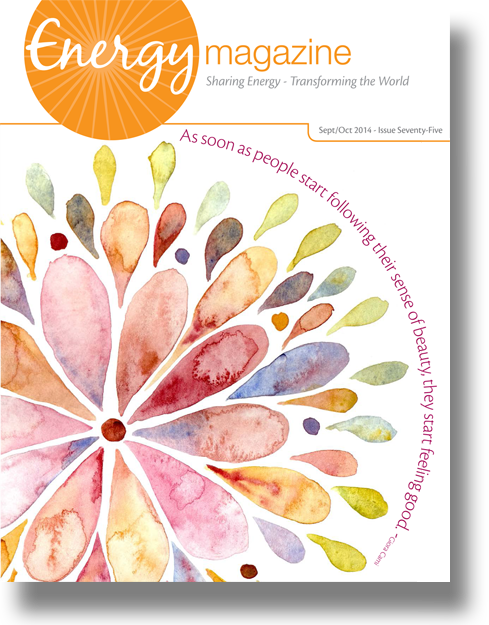 Sign up for a free subscription to Energy Magazine!